Cytoreductive surgery for mesothelioma involves removing tumors in the abdomen. Combined with Hyperthermic Intraperitoneal Chemotherapy (HIPEC), the procedure has improved patient life expectancy. Cytoreductive surgery is the only surgical option for patients diagnosed with peritoneal mesothelioma. 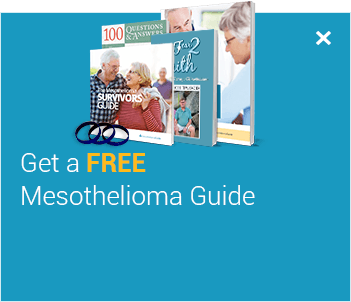 This is a major surgery that requires an experienced mesothelioma surgeon. Despite their prognosis, many patients have seen longer survival times thanks to this surgery. Patients who had this procedure as part of a multimodal treatment have seen long-lasting survival times. 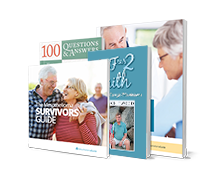 One study concluded that patients increased their survival time by 50% after having this procedure. This surgery is performed in early and advanced peritoneal patients who are in good overall health. The surgery is used for its curative potential in early stage patients and its palliative benefits in advanced patients. The leading doctor performing this procedure is Dr. Paul Sugarbaker. He began developing this procedure in the 1980s. Although the procedure has improved survival rates in some patients, there is still contention in the medical community about performing the HIPEC procedure. Cytoreduction with HIPEC is the most successful surgery for peritoneal mesothelioma. Our free Doctor Match program can help you find a surgeon qualified in cytoreduction with HIPEC. 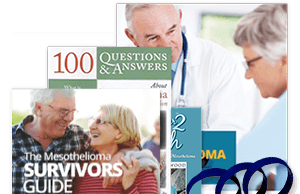 Our patient advocate team will learn about your unique peritoneal mesothelioma diagnosis. They will pair you with a doctor, such as Dr. Paul Sugarbaker (pictured above), whose expertise fits your stage and cell type. We are the experts on locating cytoreduction surgeons and cancer centers. We reach out on your behalf to top doctors to expedite appointments. We provide multimodal treatment options that include cytoreduction. Not long ago, most abdominal malignancies were considered terminal. Peritoneal mesothelioma also carried a short life expectancy. However, this was before the development of cytoreductive surgery. A study by the National Cancer Institute reported a median survival time of over 7 years for patients who had the procedure. Cytoreductive surgery was developed in the 1980s for treatment of peritoneal mesothelioma and appendiceal cancer. 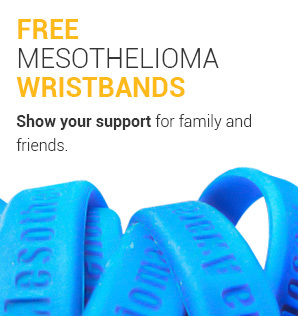 It is the most recently developed surgical procedure used for mesothelioma treatment. 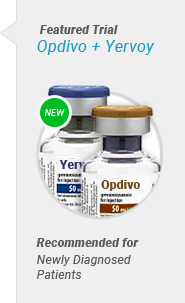 It is now also commonly used in patients with ovarian or gastrointestinal cancer. It has even been featured on the primetime television show, Grey’s Anatomy. The surgery is often combined with Hyperthermic Intraperitoneal Chemotherapy (HIPEC) to help kill remaining microscopic mesothelioma cells in the abdomen. Dr. Paul Sugarbaker is one of the innovators of cytoreductive surgery with HIPEC, and a strong advocate of the procedure. Though there are risks to this and any procedure, HIPEC seems to be gaining favor due to its efficacy in improving odds of survival. 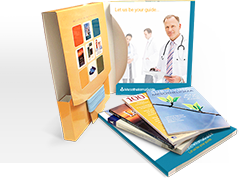 Find a specialist like Dr. Sugarbaker to treat you with our free Doctor Match Program. "The whole thing just made common sense to me." Cytoreduction is a rigorous and meticulous surgical procedure. The procedure takes anywhere from 10 to 12 hours. 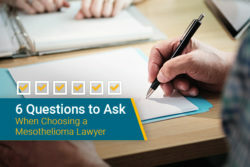 The procedure is rather long because surgeons must examine each organ and all the lining within the abdominal cavity for instances of mesothelioma. The basic concept of the surgery is to open the abdomen, remove any tumors present and, in most cases, apply heated chemotherapy to abdomen. Understanding the anatomy of the abdominal cavity can lend insight into why cytoreductive surgery is so complicated. It also helps patients understand how tumors spread to these other organs and how they are surgically removed. The procedure is so lengthy because of the complexity of the abdomen. The abdomen itself comprises 10 primary organs lined by the peritoneum, which can all host tumors. There is also possibility for women to experience metastasis to the ovaries or uterus, which would also require surgical management. The abdominal cavity is lined by a visceral (inner) and parietal (outer) peritoneum. The space between the two linings is known as the peritoneal cavity, which contains a lubricating fluid allowing for normal expansion of the abdominal cavity. Peritoneal mesothelioma restricts the peritoneum from expanding due to a buildup of fluid in the peritoneal cavity. This causes the pain and swelling associated with the disease. For this reason, cytoreductive surgery may be used in advanced stage patients to alleviate pain and provide a better standard of life. The abdominal cavity also consists of the omentum, which are special parts of the peritoneum that line the lymphatic system, blood vessels and connective tissue. If any mesothelioma has spread to the omentum, surgeons will be required to remove the parts affected by any tumors. Whether a patient is eligible for cytoreductive surgery depends on how advanced their disease is. In peritoneal mesothelioma, this is difficult because there is no accepted staging system for the disease; it is simply labeled as localized or metastasized. Successful preoperative assessments have been one of the key factors leading to the development of cytoreductive surgery as a potentially curative operation. CT scans aren’t always an accurate imaging method in peritoneal mesothelioma patients because they can confuse fluid buildup and gas in the abdomen for tumors. X-ray tests are typically taken to make up for the potential level of error in a given CT scan. Laparotomies and laparoscopies are biopsy procedures used to surgically determine the extent of the mesothelioma. These procedures allow surgeons to see inside the abdomen before committing to the day-long procedure. Each procedure gives surgeons access to the 10 organs of the abdomen. The laparoscopy is less invasive than the laparotomy. Laparoscopies use small incisions in the abdomen into which a telescopic camera (laparoscope) is inserted to examine the abdomen, whereas laparotomies involve a large incision and more recovery. This series of imaging tests and biopsies is necessary to determine how advanced the cancer is. If these tests show the cancer is not too advanced for surgery, then other tests are performed. This is to ensure the patient is fit enough to undergo the procedure. Typical tests include age and performance tests and cardiac performance tests. Cytoreductive surgery may be performed in patients with advanced peritoneal mesothelioma, as long as they are fit enough for the procedure. However, this is predominantly used for palliative purposes. In these cases, the peritoneum is removed, but tumors are mostly left alone. Due to the complexity of the procedure, patients typically arrive at the hospital the day before surgery. The day before surgery is used to conduct more preoperative tests to ensure the success of the procedure. This means more imaging tests, blood tests and cardiac tests. Patients are also required to prepare their bowels for the procedure, as the intestines make up a large portion of the abdomen. Preparation involves drinking a gallon of electrolyte solution. This is the same solution patients drink before a colonoscopy. While the procedure itself is complex, the basic principles of the procedure are simple and straightforward. During the procedure, surgeons essentially sift through the abdomen looking for tumors among the various organs and remove them. This is the most tedious part of the procedure, which can take more than 10 hours to complete. Intricacies of the surgery involve cauterizing blood vessels and keeping the patient stable, but these details vary for each surgery. Parts of certain organs (or entire nonessential organs such as the appendix and gall bladder) may be removed to eliminate as much of the cancer as possible. Hyperthermic intraoperitoneal chemotherapy (HIPEC) is becoming more common during these procedures, many times with fantastic results. The process involves bathing the abdomen with heated chemotherapy before final closure of the patient. The goal of this procedure is to kill as many microscopic mesothelioma cells that were not removed by the surgery. There are also reduced side effects compared to regular chemotherapy. The process takes about 60-90 minutes. HIPEC allows the doctors to use a higher dosage of chemotherapy. This is because the drug is going directly to the source instead of through the blood stream. There are concerns, however, that this treatment could be too radical. Dr. David P. Ryan of Massachusetts General Hospital Cancer Center was reported to have said, “We’re practicing this technique that has almost no basis in science,” in an article run by the New York Times. However, studies have shown the procedure to have a striking benefit to many patients. The average survival time of patients having this procedure is about three years. Patients that do not have any surgery demonstrate a survival time averaging only one year. In 2011, Jill Litton was diagnosed with peritoneal mesothelioma. She received a cytoreductive surgery with HIPEC. She is an advocate of HIPEC and attributes her survival to this procedure. Directly after surgery, patients will be moved to post anesthesia care unit and intubated. The length of the procedure requires the patient to be on a respirator until they are awake enough to breathe without assistance. After the patient comes off the respirator, they are fitted with an oxygen mask. IV lines are used to deliver pain medication and fluids to the patient after surgery. Patients are likely to have a sore throat from the tube used during and after surgery as well as feel nauseated due to the anesthesia. 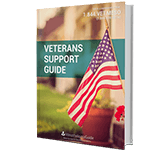 An additional two to three weeks of at-home recovery is expected for most patients. The digestive system usually takes the full time to recover completely, so patients are typically still reliant on IV’s for nutritional supplements. However, certain patients have gained functions such as eating, drinking, bowel functions and mobilization after 11 days in some cases. Other complications with this surgery involve the digestive system and pulmonary function. Approximately 22% of patients who underwent the procedure had some form of surgery-related illness. Mortality rates involving cytoreductive surgery tend to vary from study to study. The rarity of peritoneal mesothelioma makes it harder to determine statistically reliable results, and mortality rates for this disease have ranged from 0% to 18%. A study evaluating mortality results from 1996 to 2009 reported an overall mortality rate of 3%, which is considered an acceptable risk. Overall, the risks associated with cytoreductive surgery are no surprise. In fact, these risks are quite low for such a radical procedure, and weighing the benefits against the risks tends to favor the procedure. One of the greatest benefits of cytoreduction is that it is widely used for other more common cancers, such as ovarian cancer and stomach cancer. This means even though peritoneal mesothelioma is exceptionally rare, the procedure itself has had years to be fine-tuned. This could also account for the exceptional survival rates after surgery. Although the one-year survival rate for peritoneal mesothelioma patients who didn’t have a cytoreduction is 38%, those who did had an average five-year survival of 80%. That is over a 100% increase in life expectancy for those who had the surgery. Neoadjuvant chemotherapy has contributed to making the surgery more manageable by shrinking tumors before surgery is conducted. Benefits also extend to patients with advanced peritoneal mesothelioma. At this stage, the abdomen is constricted, causing a lot of discomfort. Removal of the peritoneum allows the abdomen the freedom to expand. 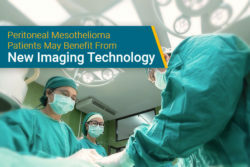 This relieves pain and can improve the quality of life for patients with advanced mesothelioma. Making the decision to have a cytoreduction with HIPEC could mean the difference between a survival time of months versus years. Though not every patient is eligible for the procedure, finding the right specialist could open up this option for you. Find the perfect specialist for your specific diagnosis with our free Doctor Match program. T. D. Yan , L. Welch , D. Black & P. H. Sugarbaker. (2006). A systematic review on the efficacy of cytoreductive surgery combined with perioperative intraperitoneal chemotherapy for diffuse malignancy peritoneal mesothelioma. Silver Spring. Oxford Journal. Hot Chemotherapy Bath: Patients See Hope, Critics Hold Doubts. New York TImes. Retrieved from: http://www.nytimes.com/2011/08/12/business/heated-chemotherapy-bath-may-be-only-hope-for-some-cancer-patients.html?pagewanted=all&_r=1&. Accessed: 10/10/18. 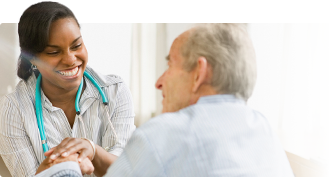 Sugarbaker Oncology Associates Your Surgery & Hospitalization: What to Expect. Sugarbaker Oncology Associates. Retrieved from: http://www.sugarbakeroncology.com/. Accessed: 10/10/18. HIPEC Treatment. Retrieved from: http://www.hipectreatment.com/. Accessed: 10/10/18. Critical assessment of risk factors for complications after cytoreductive surgery and perioperative intraperitoneal chemotherapy for pseudomyxoma peritonei. PubMed.gov. Retrieved from: http://www.ncbi.nlm.nih.gov/pubmed/20039212. Accessed: 10/10/18. Last Edited: April 7, 2019.